Tucker does such a good job of destroying liberals, that I’m really surprised that they continue to want to be on his show. They must be gluttons for punishment. 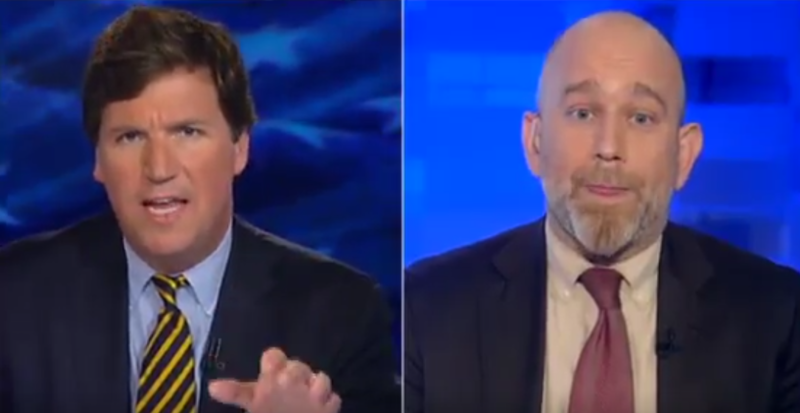 Tucker Carlson annihilated a liberal law professor from NYC who supports ‘sanctuary cities’ which ultimately exploits low-wage labor. ‘Do you ever think ‘how did I get in this place’? OUCH! Ouch! That’s gonna leave a mark! This is why we love Tucker Carlson. He shares the same frustrations that we do with these lunatic liberals. I do wonder if they actually know what they are doing or if the mental disorder of liberalism is so severe that it actually makes them think they are doing good for society.